As soon as I moved away from the idea of going down the homemade route I knew exactly who to turn to, Rosie Young. 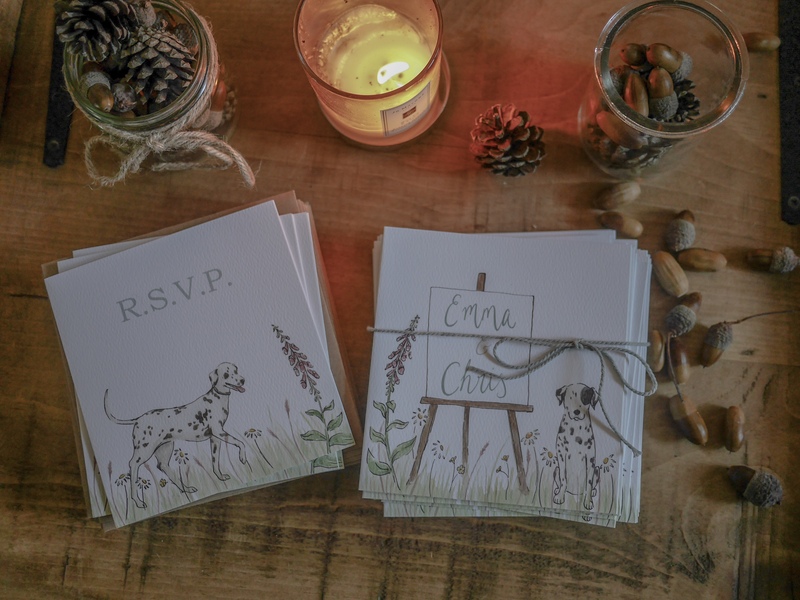 After admiring Rosie’s unique, quirky, fun and sweet illustrations on Instagram for quite some time, I could think of no one else I would rather entrust with our wedding stationery. 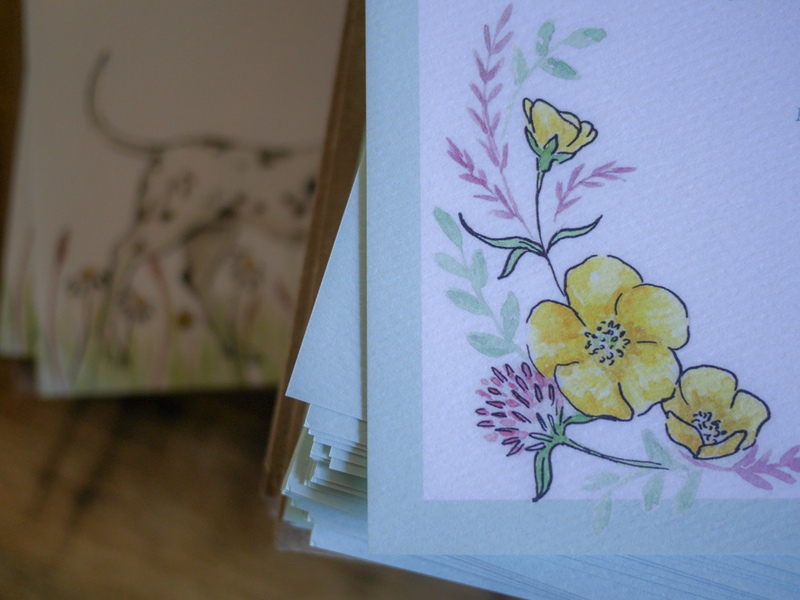 Working with Rosie on the design of our stationery was a real pleasure, the entire process was made easy, (if only every part of planning a wedding was so stress-free). 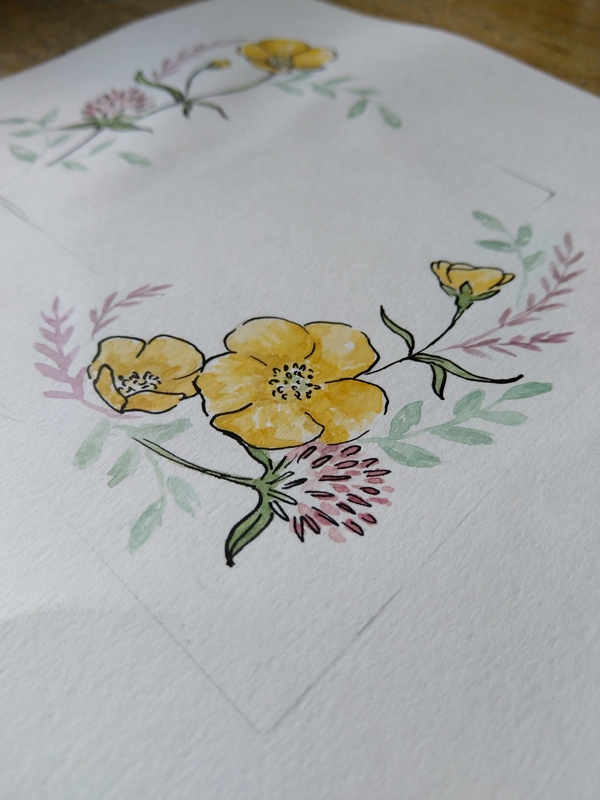 I shared with Rosie my ideas of buttercups, (hopefully the field will be full of them at the time of our wedding), the Tipi’s and of course including Shiva and Bunter. We also discussed the colour scheme along with general feel of the wedding. 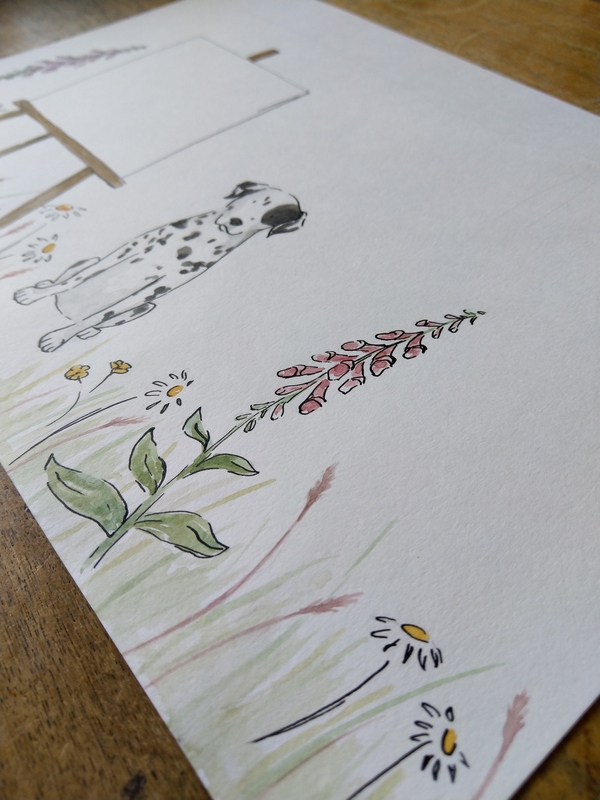 Very quickly Rosie brought these ideas to life of paper and came back with the first draft, and they were just as I had envisaged them to be. 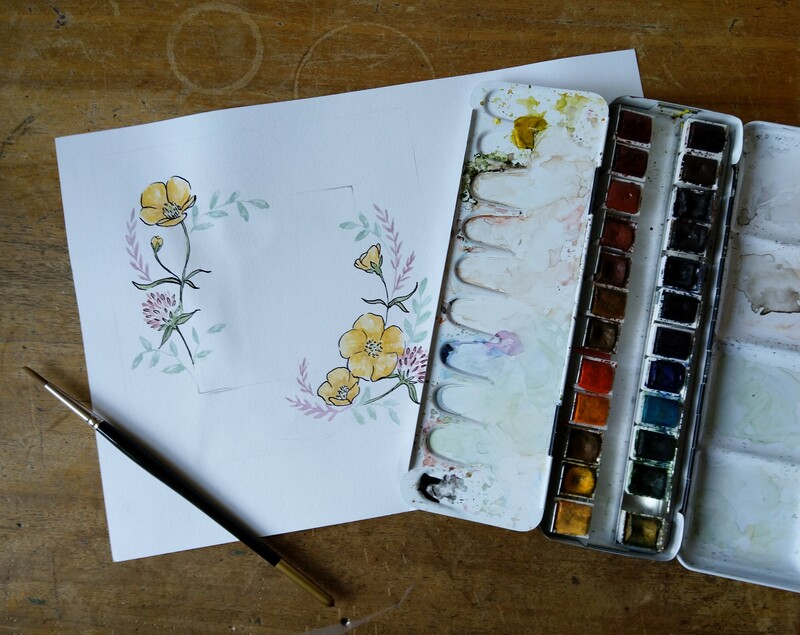 Rosie kindly shared with me some of her original paintings for the invites. Chris and I decided not to go down the route of save the dates. We felt them unnecessary as we speak to those invited frequently and they already knew of our wedding date and had subsequently saved the date! 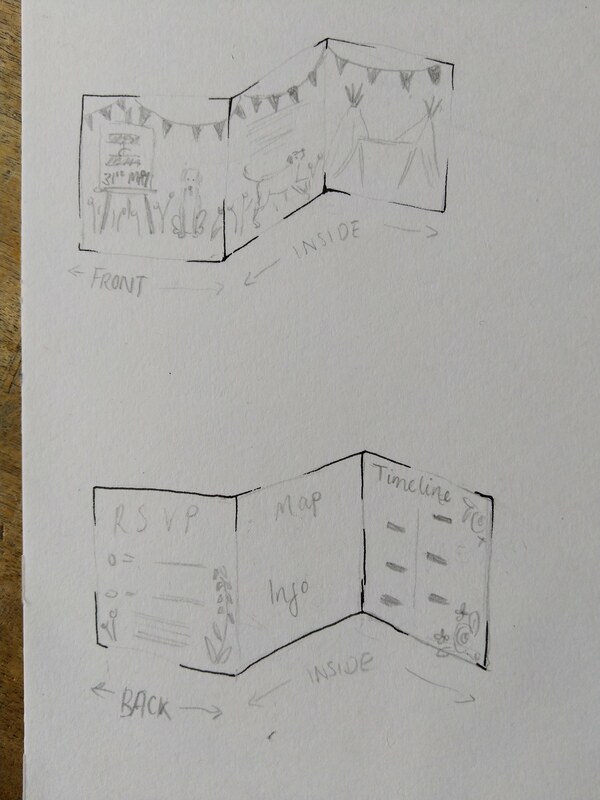 We continued to place our order for the invites (day and evening), table plan, and place name cards. 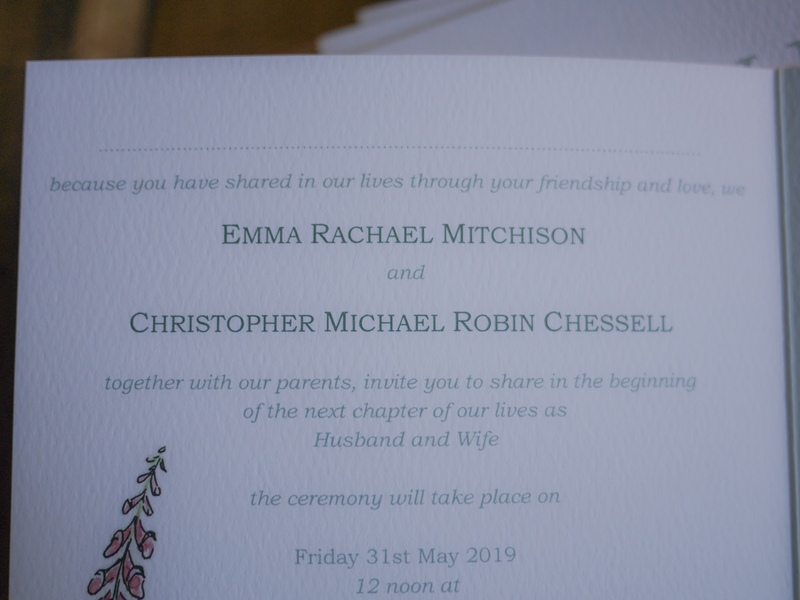 When the finished invites arrived in the post both Chris and I were so over the moon with them we had to be very controlled not to show them off straight away. 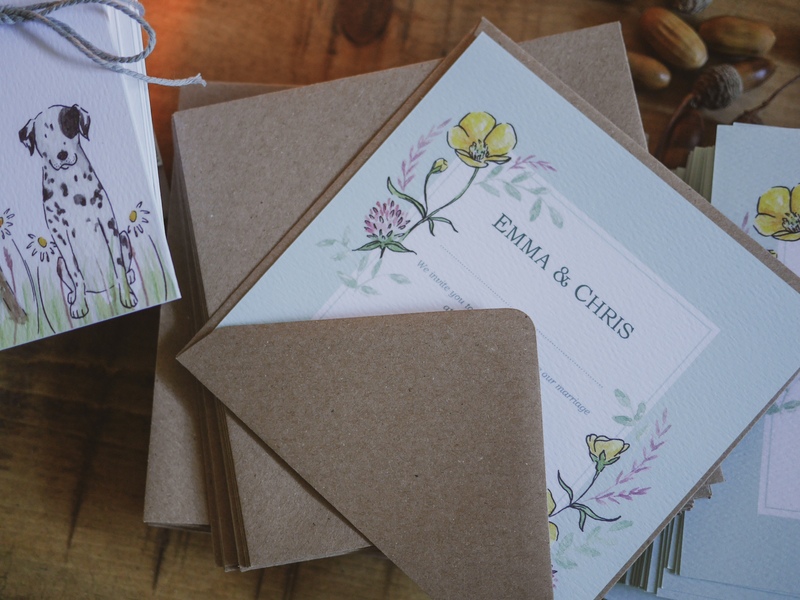 The all day invites are folded three ways and feature the Dals. 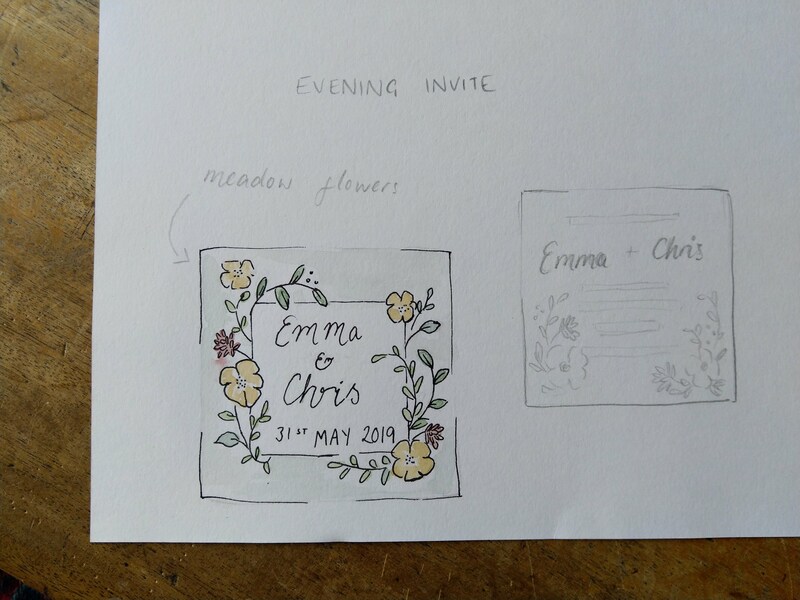 For the wording on our invites we were both keen to keep it informal and relaxed, as this is how we hope that the day itself will be. 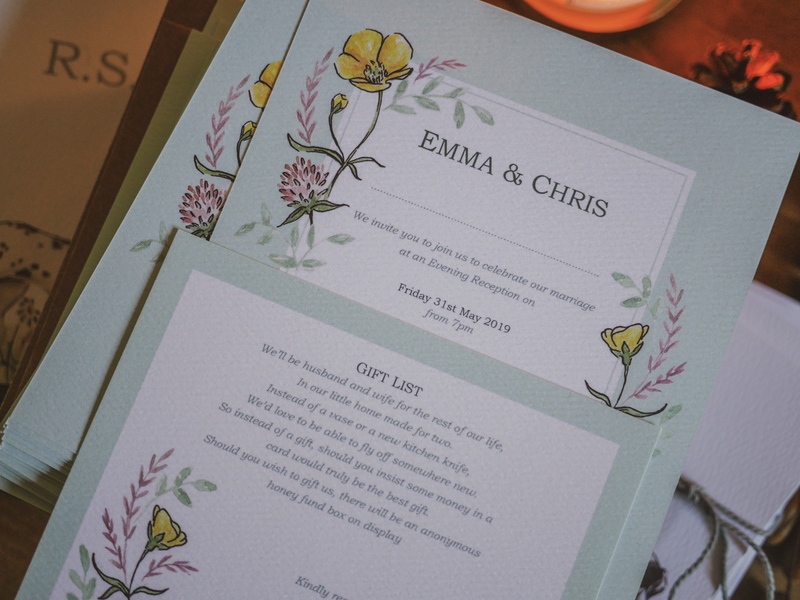 Our evening invites are double sided squares and feature buttercups. 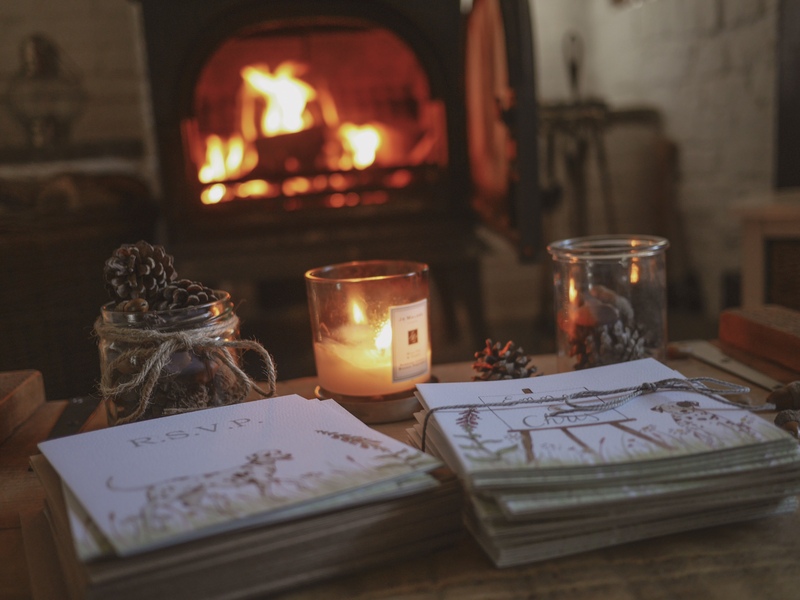 Sitting in front of the fire over an evening we began writing them out. 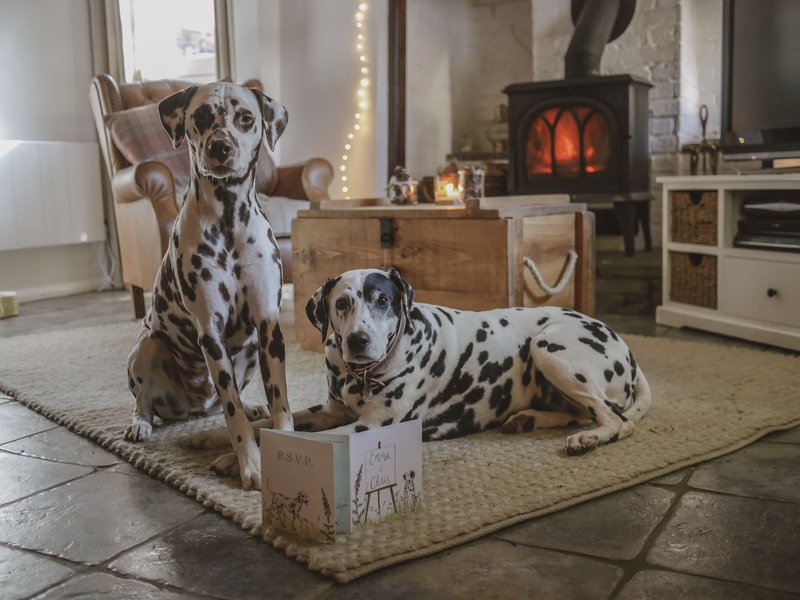 We were going to wait until the Christmas post to send them out, however we decided to start ahead of time! 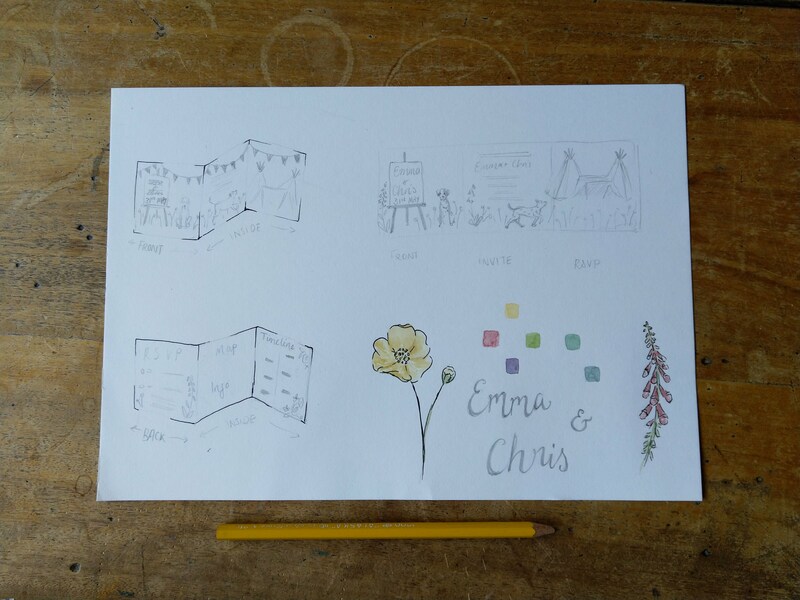 Our customised wedding stationery had gone down really well with family and friends, everyone has commented on how lovely the invites are. 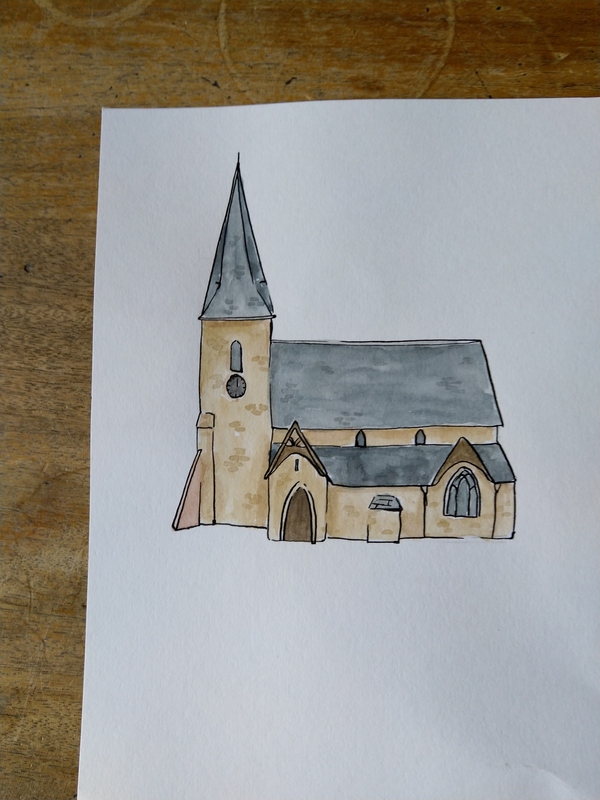 Aside from wedding stationery Rosie also takes other commissions, so if you are looking for something a little bit special either for yourself or a loved one why not get in contact with her to discuss.